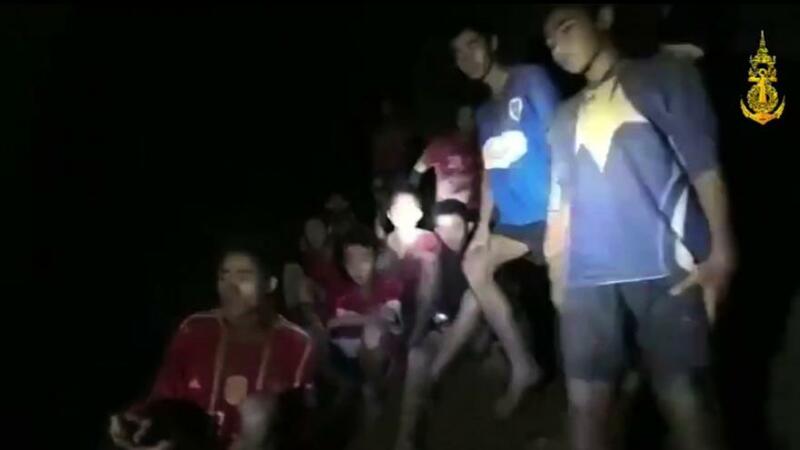 THE high-risk rescue operation is ongoing for the four boys and their coach who, remain trapped in the cave in Thailand. Four boys were rescued Sunday and an additional four emerged Monday. The head of the rescue mission says their plan is based on bringing four people out each day. That’s partly because it takes about 20 hours to re-set all of the oxygen tanks they use inside the cave during the rescues. So it is not clear if all five of those remaining inside will get out on Tuesday. Two divers were assigned to each child to help them navigate the dangerous, narrow passageways. Officials say medical evaluations of the boys will likely take three to five days but could take as long as seven.